There is nothing more I love than chilling out at the end of a long day off (generally revising, gardening, or painting and decorating) with an icy cold beverage and some nibbles. However, nibbles are dangerous. Before I know it I have eaten probably three quarters of a large bag of Kettle crisps. Oops! This isn’t very nutritious or cheap. Times have to change. So I swopped my salty, carb fulled (although delicious) crisps to hummus, carrot sticks and bread sticks. Just as delicious, but so much more nutritious. 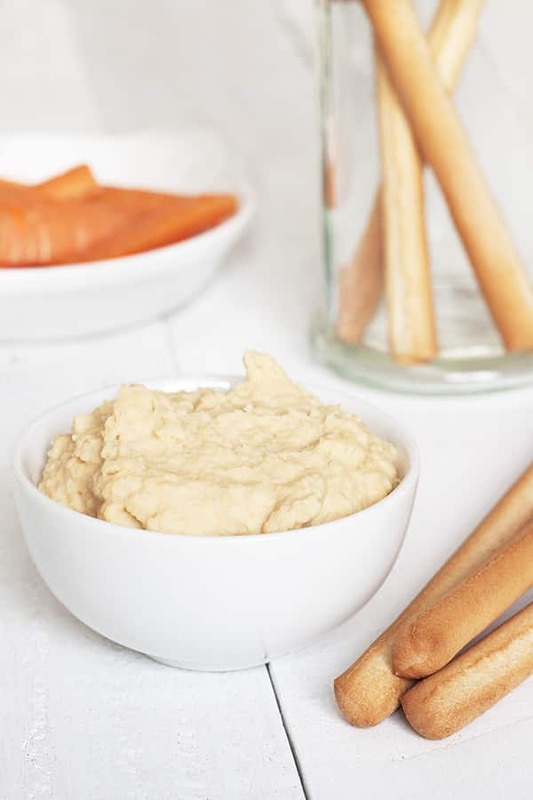 This is the first time I have made hummus and I’m looking forward to making it again and again but experimenting with various flavours.This is a basic homemade hummus recipe, hopefully it is something you can make without going to the shop for any extra ingredients (or be tempted by crisps, crisps and more crisps) .Super quick to wizz up, you can nibble whenever you want when you make it yourself. Stick to the basic recipe and you can’t go wrong :). In a processor blend the drained chickpeas and crushed garlic to a paste. Add the rapeseed oil, lemon juice, sesame seeds, salt and pepper and blend until as smooth as can be :). 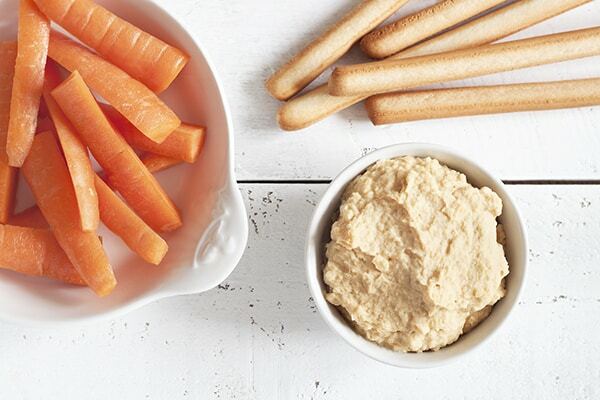 Scoop out your hummus into a serving bowl and chill for around 5 - 10 mins before serving with bread sticks and carrots! I love hummus, but I’ve always found it very hard to photograph. Your hummus photos are marvelous!